The parking lot is empty, the night sky filled with stars, coyotes howling in the distance, birds greeting me as I hike to the highest point in the Santa Monica Mountains. 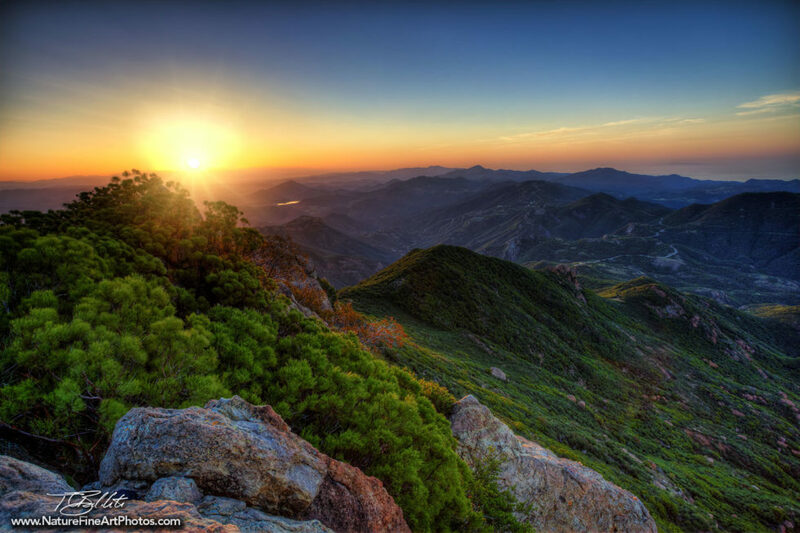 This is the view from Sandstone Peak, The Awakening, the break of day. All of our nature photos are printed on demand in the U.S.A. Each nature photo is digitally signed and includes free shipping in the U.S.A.
© 2019 Nature Fine Art Photos. All rights reserved. All of our nature photos are sold in limited edition quantities only. Each photo size is limited to only 400 prints (regardless of size). The price will rise as there are less and less quantities available. Once a photo has reached 400 prints in each size, it will be deemed as "sold out" and no more will be printed. All of our fine art photos are digitally signed and numbered. Below are the print options availalble, contact us for further customizations. Our unframed photos are printed on Kodak Endura Professional paper in a glossy finish. Each and every nature fine art photo is custom printed, can be cropped or sized to your specifications. Additionally, we can add white or black borders to the image area for easy framing. These metal prints are glossy and vibrant. High heat technology is used to fuse each image into the metal for incredible visual depth and luminosity. The metal prints come with a floating block in the back for easy mounting on a wall. They are light-weight and durable. Each image is printed on heavyweight canvas with uv protected archival inks and sleekly wrapped around a 1.5" thick wooden frame. With staple-free sides, tightly tucked corners, each gallery wrap arrives ready to hang. Each photo is printed on metal so there will be no warping. The metal print is then encased in a black matted wooden frame with white acid-free mat and anti-glare museum glass.